Americans live in a very goal-orientated culture. Every ad slaps us, shinning a light on our inadequate ability to be the best versions of ourselves and lays out each product as the solution. Every school works towards hitting testing quotas. Every life is valued against the milestones hit; those with career success, with a house and car, with a spouse and kids, with a 401k and dental insurance, with an instagram following…those are the ones we are taught to chase, to envy, to emulate. We know money can’t buy happiness. We know that “successful” people can be depressed, struggle with mental health, loneliness, and feelings of worthlessness. It doesn’t stop us from chasing that ideal, however, as if it were the end-all goal. Sure, money can’t buy happiness, we justify ourselves in our pursuit, but it can make the daily struggles a little easier. Sure. Absolutely. But how many of us recognize when we we’ve reached an income where we can meet our needs and just stop chasing the next level up in money or recognition? No one. 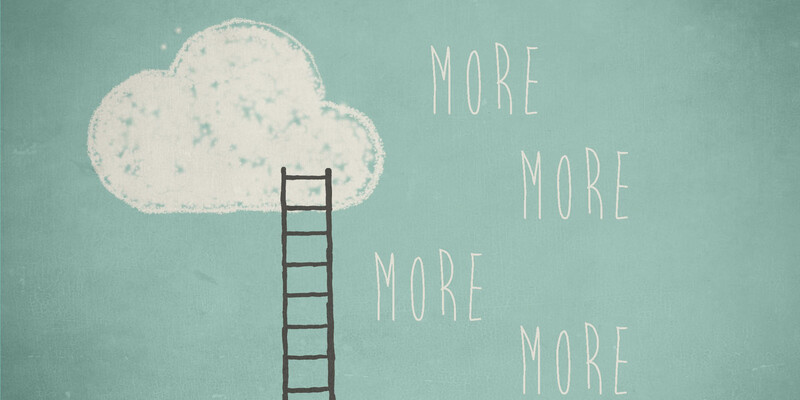 We all always want a little more. We all always want a little more. Is there anything wrong with that? Don’t goals help you to grow? Don’t they challenge you to constantly be improving? Without goals…then, what? If you stop progressing, isn’t that stagnation death? Last month I went on the first real vacation of my adult life at 31 years old. 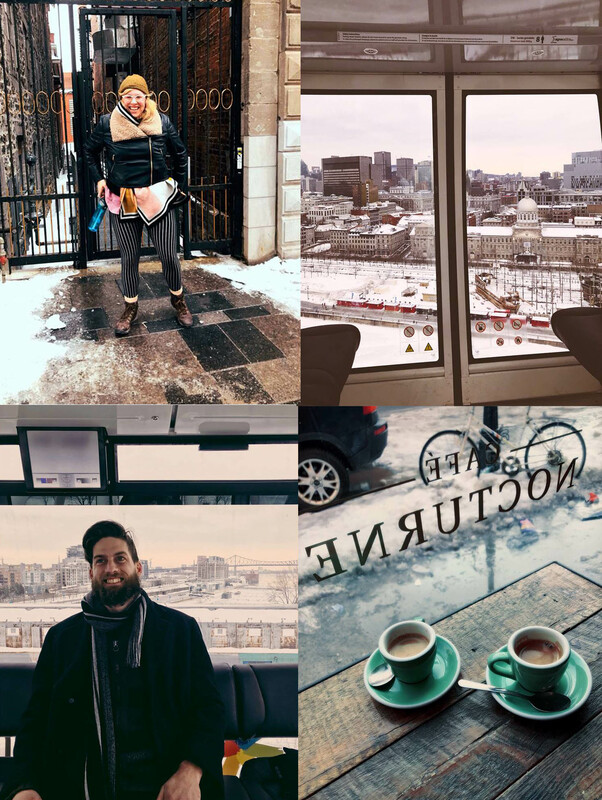 The first vacation that wasn’t to visit family or friends or audition or scout a city to move to…I mean, technically it was “work” related, as I was attending a film festival for my webseries Seek Help, but that was really just the excuse to explore Montreal. I’ve wanted to go to Canada for a long time, and this was a great impetus. The festival just took up part of one day, but the other four days my significant gay bff, creative collaborator, and #notacouple friend Johnny and I just explored. We had no itinerary. We just woke up each day, strapped on our shoes, and started walking. I was anxious prior to leaving. I’ll be honest with you, I didn’t fully understand “vacations.” haha What a weirdo! My favorite things in life have been creating. My apartment is filled with tools I bounce between every day making new things. I didn’t know what I would do without those–I couldn’t imagine being entertained and invested in wandering around. I mean, doesn’t every city have the same basic types of things? Cafes, museums, parks, restaurants, etc. So, what? I figured I would probably get bored and get some work done while there…some medical blogging, some Seek Help season two editing. I didn’t though. I did no work at all. Johnny and I woke up early each morning, strapped on our shoes, and started walking. Sometimes it was snowing and our faces went numb from the Canadian cold. We ducked into a dozen cafes, ate so many delicious meals–meals free from TV sets, meals that were about the meals, and the company, and respite from the cold. We walked through Old Montreal on cobble stone streets with horse-drawn carriages. We went to the Notre Dame Basilica Church. We rode a huge Ferris wheel and saw the whole city from above. We watched “The Shape of Water” in French. We went to the Montreal Museum of Fine Art and lost track of time and space. We went on a tinder date. We held platonic hands to keep from slipping on ice. We propositioned a squirrel for a finger-to-nose kiss and got one. We ate poutine for the first time. We rode on a huge, light-up, musical teeter-totter. We navigated the metro. We talked and we tuned-out in our own internal spaces when we needed to decompress. And I was present and invested and entertained and content the whole time. A chronic migraine sufferer, I didn’t have to take my migraine medication once the whole time there. I had energy and happiness and relaxed muscles. Don’t get me wrong–I’m not saying not to challenge yourself. But there are many ways to challenge yourself, to grow, and learn new things and I think that’s always important to do. But I think there is this unspoken pressure in America that if you don’t chase the success of the wildest incarnations of your dreams that you are somehow always a failure. And we cling to that suggested failure as a means to beat ourselves up with, to compare ourselves enviously against others, but are we missing out on the greater values of life by putting this idea in people’s heads? This constant push to go bigger, be better, make more money, be more well-known, gain followers…ultimately, it’s an empty facade without enjoying each moment, presently, with those around you. Where is the push to just be present? To get off our phones and stop hustling our own image like we’re all running PR firms for our lives and see the world that’s actually happening around us? Before I made the decision to stay in Springfield, MO (rather than return to LA) and focus on just making what I want, when I want, rather than chase the praise, validation, money, and reputation of others…I felt constant pressure. I felt I was always behind–since I was a small child! I’ve felt I’ve been failing in my goals for success. I’ve let go of that now. I’ve started focusing on the moment, each day, on recognizing the joys of where I am at, of investing in my community and creating as solely the necessary means of communication and expression that it is for me–rather than sweat the pressure of always working to turn my art into money. Don’t get me wrong, I think that is an admirable trait, honestly. It’s just not in my repertoire–it drains and depresses me. And that’s okay. We’re all calibrated differently! I’m just realizing that I would rather spend my days achieving the happiness of simply expressing my expression as I choose to express it, rather than putting all my life’s worth and value in the pressure of achieving some monetary, American version of “success” or trying to create art that pleases others. I still have goals–but I don’t think about them in that way anymore. There are the things I have to get done for work-jobs and the things I have to get done to get my artistic-work finished. There are things I want to do, like learn languages, that I do in the spare, awkward minutes between parking my car and going into some place. There are things that are good for me to do that I do when I have enough time, like work out. There are things like playing a bigger role in helping to make my community a safer, more positive place that I prioritize now (I’m in the last week of my training to become a CASA, aka Court Appointed Special Advocate for children going through Foster Care). I also prioritize going deeper with friends, and allowing myself to carve out time to actively adventure…but these are all things I want to do. They don’t require lists with micro-goals, they happen because I want them to and so I do them. And old goals I felt pressured to do, like constantly be pimping the business side of my artistic pursuits, I’ve let fall away. Whatever opportunities come, great–but I’m divorcing my art of the American focus of “success”–I create because I’m a creator and if you get it, want it, great–I want it to always be accessible to you. If not, it’s all the same. I’m glad my little world is small and manageable–that I can create without the pressure of pleasing others, that I can make enough money to live from day jobs that I don’t loathe, and that I’m not burning myself out taking art jobs that make me hate the art I love. I just wanna wake up each day and put my shoes on and go, play, explore…and try to stay present and open to wherever the day and this life takes me. It’s a whole new world and way of approaching life for me…and it’s exhilarating. One last thing. While Johnny and I were in Montreal, while I did feel great 99% of the trip, there was one evening where my spirits dipped to that place we artists know too well…in the gutters of self-loathing and despair. It was our first night there, the night before the festival. I had just showed Johnny several episodes of season two of Seek Help, which I’ve been feverishly editing. Soon I began my ritual beating up of myself over every imperfection. As Johnny and I sat over our fancy ramen dinner, it was agreed that “There should be a word that describes being both proud of the amount of work you’ve put into something, and being embarrassed or ashamed of the final product not living up to your vision” to which Johnny suddenly proclaimed, “And it shall be called The Struggle-Bottrell.” My sole purpose in telling you this is that I would love, love, love if my legacy on earth was to contribute my name to this description. So, please, if you’re ever in need of a word for this feeling, feel free to use this to describe your own Struggle-Bottrell.